Hotel conferences are meant to be relaxing. Spend time with suppliers and friends. Get the ‘rah rah’ speeches from executives. Stay out late. Go home. ‘Networking’ or ‘partying’, depending on who’s asking. The prevailing feeling this time, coming home from the Best Western Convention, was different – as a Member, as a hotelier and, to be honest, as a guest I was simply concerned. And it wasn’t just a dodgy cocktail. Just prior to convention, Best Western announced their 12th and 13th brands – ‘Aiden’ and ‘Sadie’. They’ve gone from 1 brand in 2005 to 13 brands in 13 short years. They were absolutely thrilled by it. This blew my mind, especially as market penetration of BW’s existing brands continues to be exceptionally poor (my opinion, of course). And they’re one of the small ones. Think about that for a moment. 30 different value propositions (theoretically), target customer segments (theoretically), design guidelines (theoretically), brand standards (theoretically), brand scents (theoretically; this was a big, extremely annoying Starwood thing), and logos on napkins (less theoretically – definitely different logos on napkins). There’s an annoying amount of ‘theoretically’ there. Think of how many things you have 30 of. 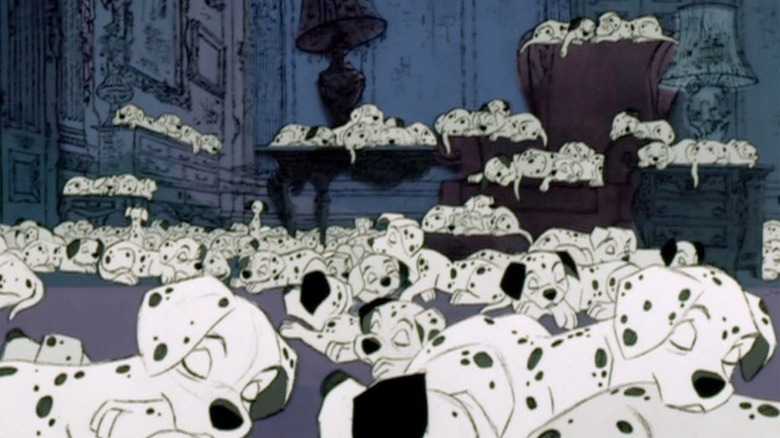 Fun fact: that is more than, despite the 101 Dalmatians promised, the number of dalmatians ever named in the original book (6), animated film (8), unreleased early draft of the animated film (10), book accompanying the original animated film (19), live action movie (17), and the entire animated series (29). (the internet is a truly wonderful, random place). “One of us is named ‘Hyatt House’ (probably)”; Copyright Disney, found https://goo.gl/images/fosNHV. The article it connects to is fascinating. 30 brands to support. 30 development pipelines to service. FOUR soft brands. It defies reason. Marriott, Best Western and <insert your chain here> folks are far smarter than I am, of course. They’re worth billions, I’m not. It is unfathomable to me, though, that each can be supported equally. It’s simply not possible. I call these ‘microbrands’ – it’s the best description I can come up with without being offensive. Brand messaging to franchisees on these is simple. Our customers can and will be as loyal to our microbrands as they are to our chains’ major brands. Our customers have specific needs and wants. Once they are trained on the extremely specific value proposition of our brand they’ll stick to it, and that microbrand will be the next Hampton Inn and Holiday Inn Express once distribution picks up. Get in on the ground floor. I accept that there are certain brands in every chain that people will go out of their way to find. Hampton Inn for Hilton, Holiday Inn Express for IHG, Courtyard for Marriott (ehh), Best Western (core) for Best Western (a stretch), Comfort Inn for Choice (a bigger stretch), Super 8 for Wyndham (best you got, I’m afraid, but it does dominate economy) and Country Inn for Carlson (I’m including Carlson here because I feel I have to). When those brands defined their subset of the market – the apple of their parent chains’ eye – their evolution was shepherded through by the top minds looking to innovate in how customers interacted with hotels. Rationally, though, we know why there’s a new brand every two weeks. It’s so Marriott can have 30 brands and 100 hotels in Times Square in NYC. So Choice Hotels can have every one of their brands on the I-10 in Phoenix. So Carlson can have a Country Inn next to a Radisson (that’s really just a hypothetical) somewhere in the country. Franchises have fundamentally moved away from hoteliers. Every new franchise agreement tends towards a marketing exercise rather than a bet of success or failure. The operator is less and less important because market valuation in hospitality doesn’t consider it important. The valuation process that underpinned the purchase of Woodspring Suites, La Quinta and Knights’ Inn (so, so baffling) should show hoteliers the truth: a brand is worth the value of the committed contracts, liquidated damages and owned assets available to dispose of – no more and no less (I absolutely despise the Motley Fool but this is a decent discussion of it). Marriott unceremoniously dumped Starwood’s prize assets in New York City. The Waldorf Astoria is becoming a residence. We can’t even be surprised. You’d hope – based on the ‘commitment to mutual success’ we’re told a franchise agreement means – that franchises would be laser-focused on creating the unique experiences microbrands promise but they simply have not. The continuing success of Airbnb and the successes of Solden and others similar are an indictment on our inability to perceive the individuality of our consumers and provide an experience that, when combined with the creature comforts of a hotel, will entice customers back ‘into the fold’. No brand – outside of the W concept, Ace Hotels perhaps – has come anywhere close. The consumer simply doesn’t not connect with microbrands and no matter what any franchise salesperson tells me, increased contribution of new microbranded properties has significantly more to do with the loyalty program and the promise of a new-build hotel than any connection with the brand, period. And, as we’ve already discussed, hotels don’t last forever. 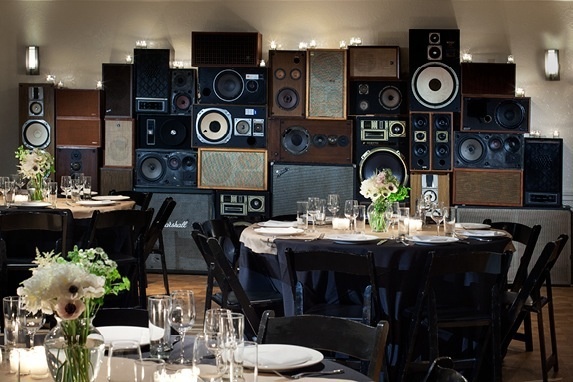 This – this is hospitality done well, kudos to Ace Hotel, NYC; image sourced at https://goo.gl/images/tgmxGj. This link is far less interesting. Our franchises used to represent more than a model room in a basement in Bethesda or Rockville, Maryland (other head offices are equally applicable). They carried hotels that represented the vision of what brands could and should be. Less brands made this significantly easier, for sure. If the franchise has no exposure to the day to day customer experience, though, they make decisions without context. How can we reasonably expect a franchise to appropriately support a hotelier and brand when the ‘new hotel smell’ is gone? What makes us reasonably expect our franchises’ support of their microbrands – with such limited distribution and (next to) zero risk capital outlaid – will ever truly hold enough attention to evolve? Microbranding is simply bigger than the money, occupancy and ADR; the soul of hoteling is at stake. Dilution erodes customer loyalty. We may be ‘listening’ (or pretending to listen) to our customers but we’re certainly not hearing their feedback. Our losing market share proves it. Until we start to do so we’ll never earn them back. Here’s hoping that our chains see it the same way.